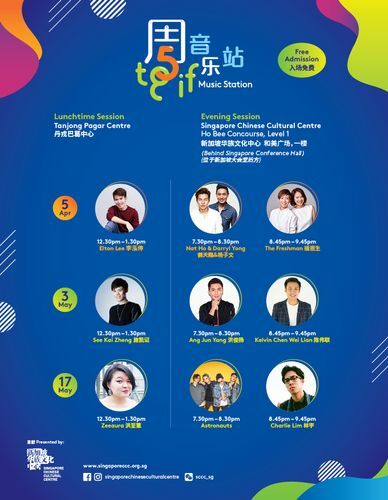 Look forward to the exciting line-up for Singapore Chinese Cultural Centre’s TGIF Music Station in 2019! TGIF Music Station is a series of music performances featuring some of Singapore’s favourite performing artistes and rising stars taking place on every 1st and 3rd Fridays of the month. Join us with your friends and loved ones to croon along to familiar tunes and the latest hits. For more details, visit Singapore Chinese Cultural Centre website.